2 bedroom bungalow with laminated floors, newer carpets in bedrooms. Nice size eat in kitchen that leeds you out to an enclosed porch with lots of windows. The Town of Hammonton is a gem in South Jersey Real Estate. If you’re thinking about making a move, and need to search Hammonton Houses for sale, you may not need to look any further. It’s the quintessential small town — the one that counters the grass is always greener theory. A surprising fact, for some that move away, find that the grass was just perfect here, and eagerly return. There is no shortage of community pride — the revitalized Hammonton Downtown is the centerpiece, good schools, numerous civic clubs, and heavy community involvement with athletics, it feels the way a community should. Individual pride is expressed by the locals. Attention to property maintenance and manicured yards are hallmarks — (they know how to grow stuff in Hammonton!) These routine, but key elements, set the backdrop for the close knit neighborhoods that make Hammonton exceptional. But what is small? Steady growth, now at 15,000 residents strong — some may say we’re anything but small. You will find a reassuring balance here. 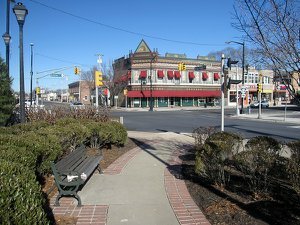 The Downtown is at the Heart of Hammonton. The highly rated schools assist in maximizing our youths potential. Agriculture is the town’s muscle. And the industrious people and their larger than life personalities provide the pulse. The collective essence of Hammonton can be found in its many churches, service clubs, and in its athletics. Numerous unsung volunteer coaches are eager to donate their time for the great good of the community. There is a multitude of fine eateries — mostly family owned restaurants and pizzerias. A generous community — you’ll feel welcomed by the residents here. Hammontonian’s as we are affectionately known — care deeply about the community and its continued prosperity. Whether shopping for Hammonton Homes for sale or Hammonton condos for sale, don't hesitate, the good properties never last long! Hammonton has been bestowed boundless educational opportunities. The community has been blessed with renowned public and parochial (K-12) schools. As well, realizing the strategic benefits of Hammonton, Richard Stockton College at Kramer Hall is right here downtown. Hammonton Public Schools provide state of the art facilities, top teachers, and a tremendous academic and athletic experience that is second to none regionally. This School System services all residents of Hammonton as well as students (7th grade to 12th) from Waterford Township. Hammonton is also “School Choice” designated for residents just outside the Town boundaries. Good luck getting into the choice program — the waiting list is long, and applicants many. Best Bet, just move to Hammonton! Since 1949, St. Joseph Schools of Hammonton has provided an exceptional Catholic School experience. Students (K-12) from Atlantic, Cumberland and Camden Counties are welcomed. St. Joseph High School is located on the corner of Central Avenue and Vine Street in Downtown Hammonton. A few short blocks away is the St. Joseph Elementary School. Entrenched in its revered corridors are years of tradition and teachings of Catholicism. A tuition-based school, the St. Joseph experience does provide tuition assistance made possible by the generosity of local benefactors and alumni. College Town Hammonton? Yes its true! Stockton College Kramer Hall is centrally located in downtown Hammonton. As a satellite of Richard Stockton College’s main campus in Pomona NJ, Kramer hall continues its South Jersey expansion. The structure, one of the tallest in Hammonton, has been completely renovated fro what was a former abandoned clothing factory. The re-purposing of the site was coordinated by the joint efforts of Main Street Hammonton and The Town of Hammonton. This partnership shows Hammonton’s commitment to higher education through focused community redevelopment. As its been described, Hammonton is the “Hub” of South Jersey. 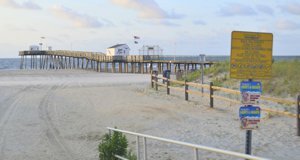 Centrally located — 30 miles to Philadelphia and 30 miles to Atlantic City. All major roadways converge here. The Atlantic City Expressway, Route 206, Route 54, US Route 30 (White Horse Pike), and US Route 322 (Black Horse Pike), and State Highway Route 73. Hammonton real estate has proven to durable over the long-term with many developers recognizing its central location and choosing to build homes and condos here. Hammonton new construction comes in waves then subsides, then re-emerges. A central public water and sewer system has allowed more growth then other neighboring communities. Steeped in pride that only the energy of a small town can create, Hammonton on several occasions has made its mark nationally. During his 1912 Presidential Campaign, Theodore Roosevelt made a “Whistle Stop” at Hammonton. In 1949 the Hammonton Little League All Stars won the Little League World Series. In 1984, President Ronald Reagan made a historic campaign stop in Hammonton. The world watched as Hammonton’s Bellevue Avenue was flooded with a massive crowd of 25,000 strong. The “Regan Rock” at Bellevue and Central Avenue commemorates the spot that President Reagan gave his resounding speech. Truly a remarkable day. Hammonton loves a winner and “Hammontonians” understand a thing or two about grit, determination, and teamwork. 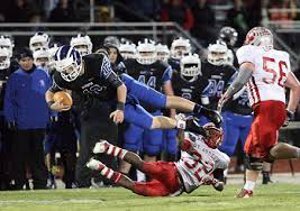 Hammonton is well represented in all sports with a reputation as being a perennial State Power in High School Football (Hammonton and St. Joseph’s respectively). Excellent Little League Baseball and Softball programs. Hammonton Hawks Youth Football, Bulldogs Basketball, and Recreational Soccer are after school passions. These programs feed the top notch scholastic programs, including field hockey, track, cross country, and basketball. All Hammonton Schools have excellent training facilities, assisting in developing good talent into great players. Year after year many Collegiate Athletic Scholarships are granted to these elite players. Hammonton is rich in culture and tradition. The Grand Daddy of all festivals is feast week sponsored by Our Lady of Mount Carmel Society. Since 1875, this is the longest running Italian Festival in the United States. Culminating on the 16th of July, it is week of carnival, food, and faith. Other notable annual events are The Red, White, and Blueberry Festival, Crusin Main Street, and The Halloween Parade. Search Just Like a Realtor!